While every other nation on Earth has ONE law (one common “standard”) for their nation, the United States has no federal DUI law. Using federal highway funds as its “leverage,” the federal government has INFLUENCED all states to enact laws that set the adult “per se” alcohol law for being over the legal limit at 0.08 grams percent or less. In 2018, Utah became the first state to drop their adult DUI legal limit to 0.05 grams percent. As it pertains to a DUI definition, no need existed (when the Constitution was written) to explain “what does DUI mean?” or to discuss impaired driving. Automobiles were not yet invented, and high-speed crashes on horses were not occurring at the hands of drunken settlers and cowboys. The term “drunk driver” had never been used, so no perception of a need to define DUI as a crime existed. The Industrial Revolution changed all of that between 1870 and 1900. From the first alcohol-related drunk driving crash, or drunk driving accident, especially those involving serious injury or death (often between a speeding car and a horse and buggy), political rumblings began for imposing laws on traffic safety. Drunk driving statistics began to be kept in Washington, D.C.
Then, since no federal law had been passed (setting a national DUI standard), the states were not preempted from enacting local drunk driving laws. In 1910, both New Mexico and New York enacted the first DWI-DUI laws to criminally sanction those who drink and drive. Both states used the acronym “DWI,” and this acronym was the first used because ALCOHOL was the deemed culprit. Later, when more drivers had accidents and were under the influence of something OTHER than alcohol, the concept of “driving while intoxicated” and “driving while impaired” by ANYTHING began to gain favor. By 1960, driving under the influence (DUI) had become the most common term used. England had the first news report of a fatality in an alcohol-related crash in 1904. Drunk driving stories soon became news articles in the United States and Great Britain. Our British counterparts had laws in place to interdict drunk driving before 1900. An implied consent statute imposes a post-arrest obligation of an arrested drunk driver to either submit to a chemical test of breath, blood, or urine (to find out how much alcohol or other substance in the driver’s system) or lose driving privileges. These forensic tests could then give the government more proof of your level of impairment. An initial BAC level of 0.15 grams percent was our state’s first alcohol “legal limit” to drink and drive in Georgia. Three times in 30 years, the BAC limit was lowered to 0.12, then 0.10 and finally to 0.08 in 2001, based on an executive order signed by then-President Bill Clinton in late 2000. The term “drunk” is usually associated with alcohol, but every state has special laws dealing with drugged driving, operating a vehicle with any amount of marijuana in your system. Most states’ implied consent laws have been expanded to include marijuana being in your system. Known as impaired driving, drunk driving, drugged driving, intoxicated driving, and similar phrases, modern DWI-DUI crimes focus on ingesting ANYTHING that renders a person less capable of driving safely and then getting behind the wheel. Plus, for the past 70 years or so, various states enacted laws that criminalize simply being behind the wheel WHILE having a prohibited alcohol level, a contraband (illegal substance) [e.g., PCD, crack cocaine, GHB] or a prohibited quantity of marijuana or its metabolites, or having any “controlled substance” in the person’s system. So, the favored definition of drunk driving in America is now “DUI” instead of “DWI.” This truth is one of the more interesting drunk driving facts, especially considering that both states who passed America’s first DUI laws maintained DWI vs. DUI for more than a century. The criminal laws in all states have statutes proscribing driving under the influence. Generally, this four-word phrase explains “what is DUI?” which means “driving under the influence” of alcohol, drugs, or some other substance. The Georgia Supreme Court has ruled that when a person has a prescription for medications that are a controlled substance, the level of impairment may show that he or she was rendered incapable of driving safely. Despite different wording and phraseology, a “DUI” law can be broadly defined as legislation criminalizing impaired driving or intoxicated driving as being the act of operating or being in actual physical control of a motor vehicle while the driver’s mental or physical faculties are negatively affected by ingesting some substance, chemical, or plant material. Also associated with this type of crime, federal highway safety laws began to push for all states to take away driving privileges if a person was convicted of DUI-DWI. The DUI meaning is always consistent, except that some state lawmakers (in the last decade) have been more liberal (and reasonable) in establishing fair limits for some illegal substances (e.g., marijuana) to allow some room for passive inhalation of smoke. Georgia weed laws are inflexible for DUI marijuana, even though university studies have shown that heavy users of marijuana and cannabis oil can test positive for extended periods. One recovery center reports that heavy weed users will have detectable traces of weed for 120 days after last consuming it. DUI is a catch-all phrase that typically conjures up an image of a droopy-eyed, inattentive, and possibly belligerent person. Yet, a person can be arrested for drunk driving, go to trial (or plead guilty), and be convicted of drunk driving (‘driving while impaired’) while looking and acting 100 percent sober. Virtually every state broadly defines driving while impaired as having any impairing substance in your body. Since blood circulates through the brain, where human motor functions are controlled, the legislative goal is to NOT put others in danger by having an impaired driver behind the wheel. Modern chemistry, along with foolhardy individuals willing to “test” virtually any concoction by huffing, sniffing, injecting, or smoking, can create an infinite number of compounds and products, all of which are covered in the broadly-written laws of most states. So, “designer drugs” like bath salts, “spice,” “Molly,” or another formulation that will diminish a driver’s mental sharpness or make a persons reflexes slower, due to the quantity of that product or substance in your system at the time of driving. Another category of “substances” that is now part of most states’ DUI laws is noxious vapors or aerosols that can be inhaled or “huffed” to get high. Acronyms do not change the gist of “what is DUI?” D, as set forth above, is what all states’ laws seek to prevent. The only reason DUI is so common is that most states utilize this acronym in their case law (appeals dealing with driving under the influence litigation). 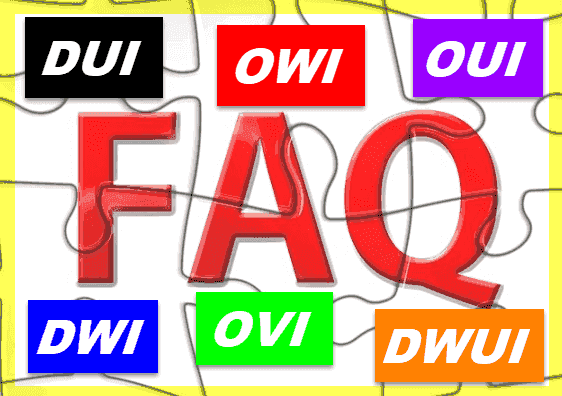 DWI (driving while intoxicated) is the second most commonly used acronym for driving drunk, and the most common acronym could easily have been DWI vs. DUI, in America. So, the difference between DUI and DWI is mostly semantics. The legal effect of both acronyms is to criminalize drunk driving and DUI-drugs, set up criminal laws and driver’s license suspension sanctions to punish people in an effort to stop impaired driving. Below is additional driving under the influence information that brings the ubiquitous crime into better focus. A DUI first offense has 40 hours of community service, or about five eight-hour days. A 2nd DUI in GA has 30 days of community service, or about 240 hours. Plus, zero additional jail time is required, except if your post-arrest alcohol test under implied consent law was 0.08 grams percent or more from a test taken at any time within three hours of the driving ending. On a DUI-Drugs case of any type, the license suspension for a first DUI by weed case is six months. For a 2nd DUI by drugs within five years, the suspension is for three years. For any second offender, 72 hours is the absolute minimum jail time, with 12 months being the maximum. At first, the DUI-DWI laws in America were simple. Police could smell alcohol on the driver, and most drivers (when asked), admitted to drinking some alcohol. So, the arrest process for drunk driving by alcohol was very straightforward. Since breath alcohol test equipment was not invented until the 1930s (Drunkometer and Intoximeter were the initial devices), any forensic test would have been a blood test. Seldom did cops request a warrant in those days. 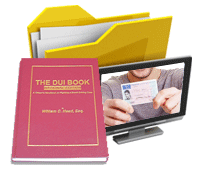 No DUI attorneys were around to make legal challenges since much of our nation’s Fourth Amendment and Fifth Amendment law was made in the 1960s and 1970s. So, most arrests for drunken driving were made on the officer’s “opinion.” Any field sobriety test given at the roadway was not based on studies or science, since no effort to standardize field sobriety testing occurred until the 1970s. Each officer would dream up and use all sorts of unproven roadside tests to support an arrest decision, and criminal defense attorneys seldom challenged the LACK of any science, to back these decisions up. The legal practice specialty of DUI lawyer or DWI attorney was never considered or contemplated since drunk driving defense was usually handled by the family attorney or the only practicing lawyer in town. 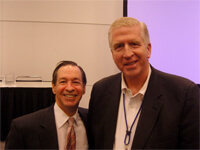 A DUI lawyer would have starved to death from lack of business since DUI arrests were few and far between. No random DUI checkpoints existed. Plus, in the early days of these types of arrests, the law enforcement officer would have to see a vehicle being driven on a public roadway, versus a vehicle parked on the shoulder of the road with a sleeping driver in the vehicle. Now, merely having the ignition key (or fob) and being inside a motor vehicle while drunk is enough to trigger a DUI arrest. Criminal defense lawyers started to pay attention to DWI-DUI arrests, once citizens began to feel that they were being singled out, in an age where many people drank alcohol and drove daily. Drunk driving accidents increased as cars and trucks became more common, and legislators started tweaking existing laws. The United States Supreme Court has made rulings about an accused person’s “right to legal counsel,” mandating that a public defender be provided for ANY crime that carries potential jail time or probation, which applies to ALL impaired driving cases. Can You Get a DUI on Private Property? This question is one of the more interesting and baffling of all drunk driving facts. The United States, from our English heritage, values land ownership as a paramount right of being a citizen. Yet, when it comes to driving while impaired, these time-honored concepts have fallen to the wayside (in some states) when it comes to DUI-DWI laws. The answer to the DUI on private property question is: YES, in some states. Ultimately, several states, like Georgia, have passed laws that forbid being “under the influence” ANYWHERE within the state, including on your private property. So, you could be at your 3,000 acre farm in south Georgia, driving your tractor to plow under the fallow fields while sipping on beer all day, and later be found (by a Department of Natural Resources officer who is patrolling for illegal hunters) passed out and slumped over on your tractor, with the engine off, and be lawfully arrested for impaired driving. You can still be arrested despite having never left your land and posing no danger to any other person or vehicle on Earth. So, being on a farm tractor that does not ever reach any public right-of-way or highway can support a Georgia DUI. DUI arrests have been made for allegedly intoxicated operators of golf carts (electric or gas powered), riding lawn mowers, mopeds, forklifts, bulldozers, a Zamboni ice resurfacing machine inside of a building housing an ice-skating rink, and many other “vehicles” including a horse and an electric wheelchair. Under pressure from the federal government, which controls federal highway funds, states have had to ADD another category, called “aggravated” DUI in most states. The general theme is that drivers with high BAC levels, from alcohol readings, should be punished more harshly. Some states (like Georgia), have enacted meaningless changes to accommodate the federal authorities. A few states, like the aggravated DUI law in West Virginia, have done what the federal authorities wanted but have not gone overboard on extra punishment. A handful of other states, like Arizona, have enacted mandatory increased jail time, loss of license implications, and draconian punishments for drivers grossly impaired, according to the convicted DUI driver’s BAC level. This review of interesting drunk driving facts and the somewhat troubling evolution of laws from being based on common sense, safety-related criminal law to an overreaching, overly-broad enactment of illogical and invasive legislation has often been passed to satisfy MADD and other anti-drinking activists. As laws began to become too broad and overreaching, public confidence in law-making and the perception of DUI laws being written to generate revenue took over. Many accused drivers who were unfamiliar with their legal rights and suffered the heavy-handed DUI penalties resent not knowing how little alcohol a 0.08 BAC level can create. If you are facing this type of charge under Georgia DUI law, you need a GREAT Atlanta DUI lawyer. Call Board-Certified DUI lawyer William Head, Larry Kohn, an AVVO DUI attorney with over 430 client reviews, or ex-police officer Cory Yager with more than a dozen legal practice recognitions by Martindale-Hubbell and Super Lawyers. Focus on hiring the best DUI attorney in your drunk driving case. Your initial appointment is FREE, and we will assess your DUI case, your DUI arrest, and find a solution for this troubling legal matter. CALL 404-567-5515, 24 hours a day for your FREE lawyer consultation. Being arrested for Georgia DUI charges is life-altering. If you have too much to lose to have a DUI on your criminal history for life, call us. We are DUI defense lawyers who are proven experts in drunk driving defense. Because we are 24-hour lawyers, call us NOW: 404-567-5515, and get immediate legal help. Letting us complete a FREE DUI criminal case assessment is the starting point of attacking your DUI case. If winning is your objective, call our DUI law firm’ attorneys today. Led by Board-Certified DUI Lawyer Bubba Head, who has authored or co-authored over a dozen drunk driving books, both partners have been with Mr. Head since law school. 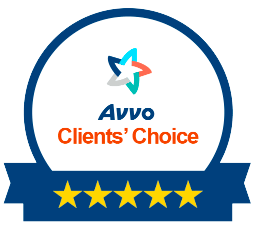 Our attorney ratings are outstanding. Our criminal law attorneys are Georgia criminal defense lawyers who have built our reputations of knowing how to beat a DUI. Law partners William Head, Larry Kohn, and Cory Yager offer FREE professional case review to explain our law office approach, by fully investigating and defending your DUI case. A partner will discuss legal fees, possible expert witness costs, as well as the odds of getting a DUI reduced to reckless driving in your case. Plus, our criminal justice attorneys can explain DUI defense strategies that have been successful in other drunk driving cases, like your fact pattern. Get additional, confidential information and FREE lawyer consultation on how to beat a breathalyzer test in a DUI court case. Our DUI defense lawyers will schedule a FREE professional consultation for you. Our DUI specialist partners will answer your questions about how to beat a DUI in Georgia. Why not go with the proven DUI attorneys who are experts in fighting driving under the influence cases? 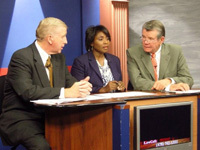 Call 42-year veteran Atlanta DUI attorney Bubba Head today and get honest answers to all your questions. Tell our lawyers for DUI defense everything that happened and everything you remember about your DUI arrest. The sooner you call us, the better chance we must win your DUI case and get your charges reduced or dismissed. Remember, you only have 30 DAYS to file a license suspension appeal or apply for an ignition interlock device, or your driver’s license will be suspended for up to one year! Talk to Bubba Head, Larry Kohn, or Cory Yager now. Our criminal lawyers near me are available 24 hours a day, weekends, and all major holidays. Call us at 404-567-5515. 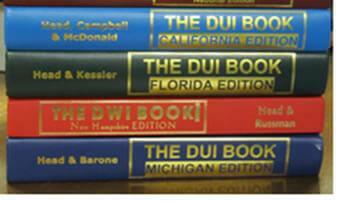 Below are some of the drunk driving defense books that Mr. Head has authored or co-authored.